No matter how old you are, planning a trip to Disney is a big event in anyone’s life. It’s a very exciting thing to plan and budget for but it can sometimes get overwhelming. 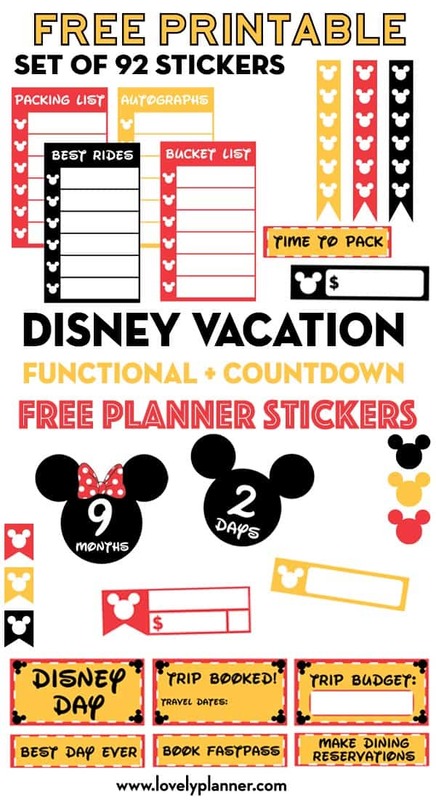 That’s why I’ve decided to create a free Disney vacation planner stickers set to help you plan your upcoming Disney vacation and keep written memories of it. Taking notes in your planner of everything you’ve done, bought, eaten and experienced during your trip will also be a great way to help you keep memories of this magical time. These stickers can help you do that. 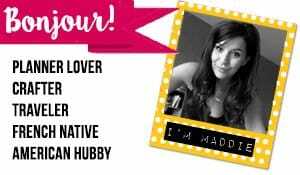 You can download this free printable further down this page. 34 Minnie & Mickey head Disney Vacation countdown stickers: to build anticipation and count the days until you get to the happiest place on earth! 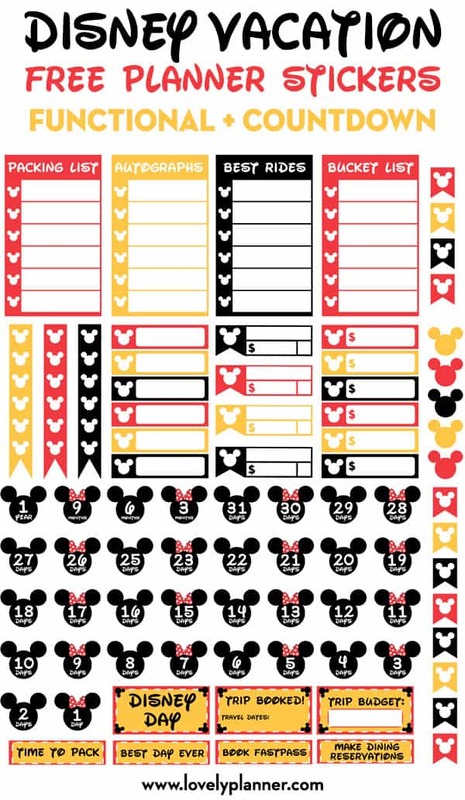 10 Disney expense stickers: use these stickers to keep track of your different Disney expenses, bills or savings. 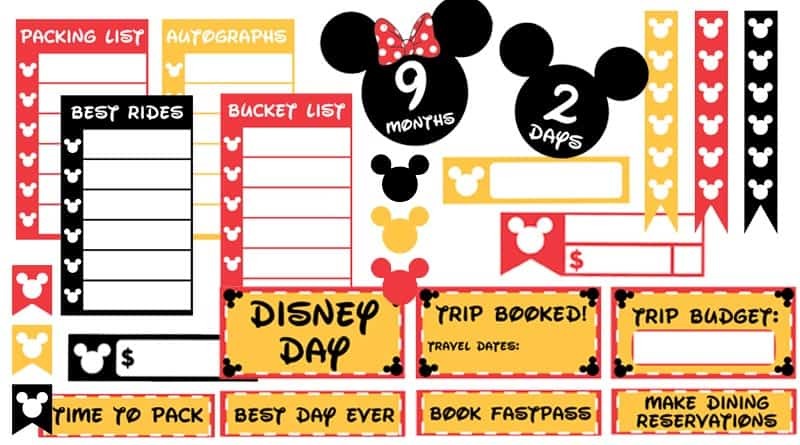 15 Mickey head stickers + mini flags: use them to decorate your planner during your Disney vacation. Disclaimer: All copyrights and trademarks of the character images are the property of their respective owners and are not affiliated with us in any way. This freebie is a fan art creation. Great planner stickers! Thank you for sharing.